Oak Park, the town — or, excuse me, village — I proudly call home, is known for a few things. For starters, there’s Frank Lloyd Wright. People come from all around to take the “See the Homes that Frank Lloyd Wright Was a Jackass in” Tour. Oak Park is also the boyhood home of Ernest Hemingway; if it weren’t for Oak Park schools teaching him the alphabet, he never would have written any books. More importantly, the village has also long been known for being a warm and inclusive community. Now that wonderful and well-deserved reputation is being threatened. Don’t get me wrong: People of all kinds are still welcome and encouraged to make Oak Park their home. But . 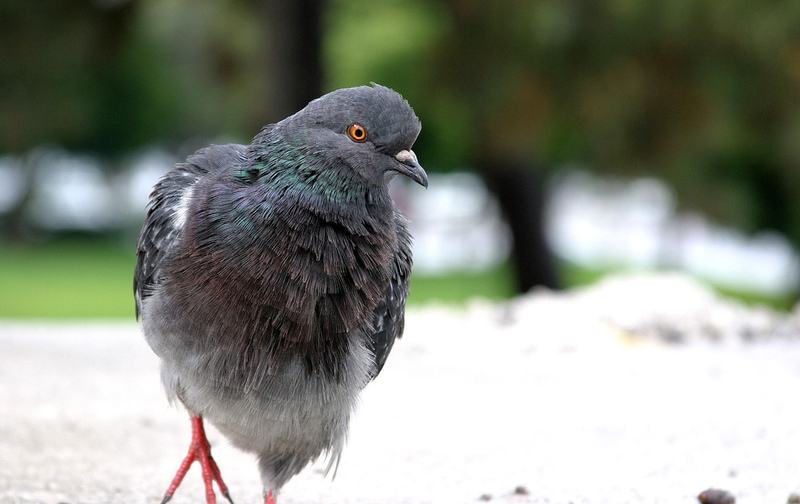 . . this week, the village board considered an ordinance that calls for KILLING — or, excuse me, euthanizing — pigeons. Don’t these pigeons realize how perilously close they are to the finest wine and cheese shop the village has to offer????? As someone who moved to Oak Park at least in part for the pigeons, this obviously has me enraged. Not enraged enough to have attended the village board meeting, but enraged. To me, pigeons are one of the telltale signs of a great city. Name a great city and I’ll show you pigeons slightly ruining the quality of life. Now, name a, well, not so world-class city. You won’t find any pigeons, I guarantee. When was the last pigeon that called Toledo (sorry, Mom and Dad) home? They’d only improve the quality of life, so what would be the point? Some, like Oak Park trustee Bob Tucker, might wonder why Oak Park can’t just move the pigeons someplace else, like to Berwyn. So, the answer is to just kill them? What’s next, Mr. Charley? Doing the same to our kids upon graduating college without jobs? Instead of seeking to humanely remove as many pigeons via death, Oak Parkers should be thankful. Thankful that we don’t have kleptomaniacal monkeys roaming the streets, like they do in New Delhi. The Hindu religion, the article reports, says that people should feed monkeys on Tuesday and Saturdays. One solution in New Delhi is to hire a bigger kind of monkey to urinate around your home. The urine repels the smaller monkeys causing all the problems. The one drawback: The urine also repels people. In any event, the official vote on whether to destroy pigeons is coming June 4. Write your congressman.